I read…a lot. I love to get lost in the pages of a story, or deeply challenged by the thoughts the author has put into words. 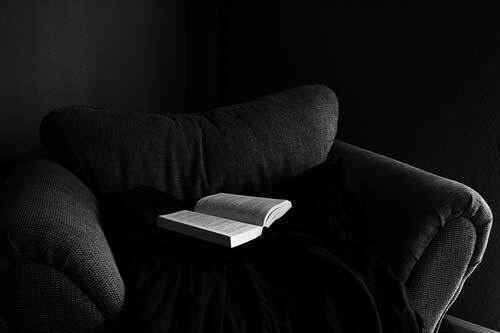 One of my favourite things is to sit, curled up into a chair, and read a book through to the end. To close the book, and then reflect on it’s words, and my response to it. I do this with fiction and non-fiction alike. Sometimes, a book is so good that I can’t pick up another one for a number of days (and once after finishing “Redeeming Love” by Francine Rivers – it was weeks). This past weekend, I was introduced to a new-to-me author, and a Canadian author to boot! A dear friend had read the book, and asked if I would read it, and the give her some feedback. So, I started the book last Wednesday, and Saturday indulged into the finishing the feast of words that the author laid before me. What was the most fascinating was that I was reading this on our Thanksgiving weekend. A weekend to thank God for the bounty of the harvest, and all that he bestows into our lives. 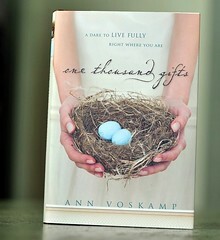 The book is “One Thousand Gifts” by Ann Voskamp. 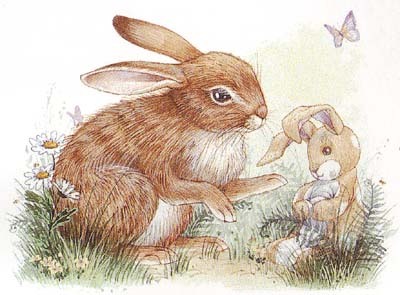 She writes for Dayspring Cards (a beautiful line of Christian cards), so her way with words should come as no surprise. After a friend challenged her to write down 1,000 things that she was grateful for. As she launched into that list – combined with her own readings and reflections, she realized that the key to living “eucharisto” (communion) begins with thanks. When delving into the accounts of the miracles – Jesus began with thanks. 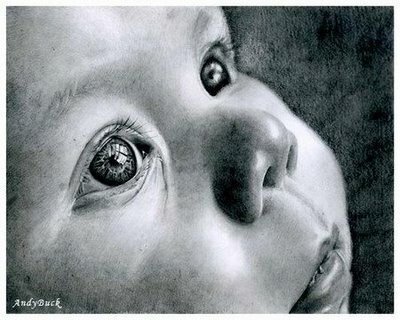 She so beautifully invites the reader to enter into true “eucharisto” living. As she shares how her perspective on life changed – to the point that one of her sons tells her that he’s noticed – I wanted to find that key to living in thanks. Her blog has also become part of my daily reading – you can find her under my links, look for “A Holy Experience”. True joy for the Christian is supposed to be part of our lives, but the enemy does his level best to prevent that from happening. Life tends to get in the way, and our walk is interrupted. Our joy is swallowed by worries (not that they ever solved anything), our sorrows, our – well – every day living. I want the joy that walking in “eucharisto” brings. It’s not a journey to walk alone, nor is it one that should go unnoticed. Pray for me, and join me if you will.